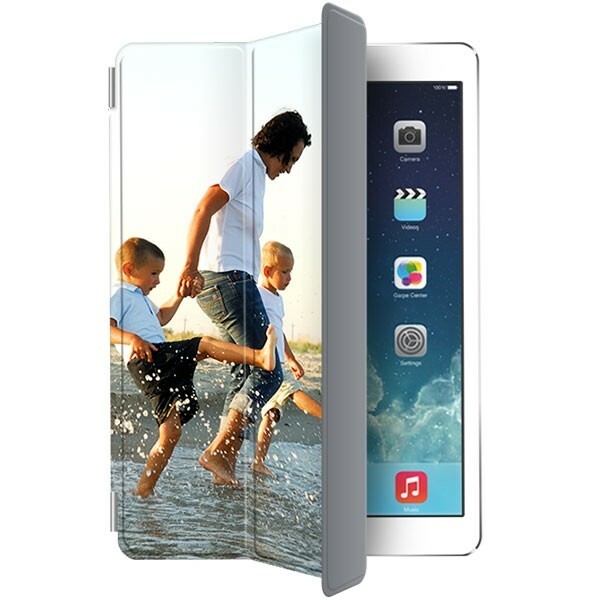 With such a large screen, your iPad Pro 12.9-inch deserves a custom smart cover! A high quality printed photo right on the front! A multi functional case with your own design. A beautiful case for the iPad Pro 12.9-inch. 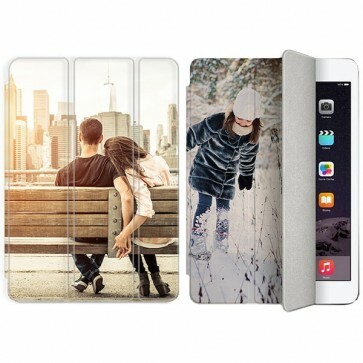 GoCustomized is one of the first to offer a Custom smart cover for the iPad Pro 12,9 inch. These cases are multi functional and offer a high level of protection for your device. The front of the case can be folded to act as a stand or low angled stand. This is great for if you are on the go and want to catch up on your favorite shows. The front cover will be your master piece. You can design the case however you please using any of your favorite images, patterns or pre-made designs. Your design will be printed in with high quality, scratch resistant ink. What else does your iPad Pro need? How do I design my smart cover? Our custom made design module makes this task quick and easy. First begin by uploading an image file that you would like to use in your design. Make sure the image you use is of the best possible quality you can find. If the image is pix-elated, it will still be printed. GoCustomized will not cover a fault made on your end, so be careful! You can upload images up to 6MB, this should be plenty for a great looking image. Re-shape and resize the image to fit the iPad perfectly. Lastly, you can add some personal text using our text module. There are some great fonts and colors to choose from. If you need any help, just give us a shout! When will I get my beautiful case? We do our best to have your case out the door within 24 hours of purchase. This does not mean that you will have your case within 24 hours. Our average delivery time to the UK is 5-7 days. If you have any questions regarding our shipping methods, please check out our FAQs or drop us a quick message. Enjoy!